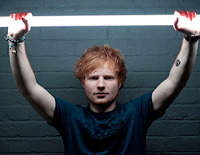 People Magazine have included Ed Sheeran in their 2013 "Sexiest Man Alive" issue. You can check out a scan of the article mentioning the "Lego House" singer below. And yes, in case you were wondering, the publication named Maroon 5 frontman Adam Levine as the "Sexiest Man Alive."